She is my BFF; my best friend forever. I am never ashamed to say this despite the fact that you may think it is silly for a grown woman to refer to another as such. We have had our ups and downs. Lots of them, that’s how I know it’s real. It started out in class four, I think. 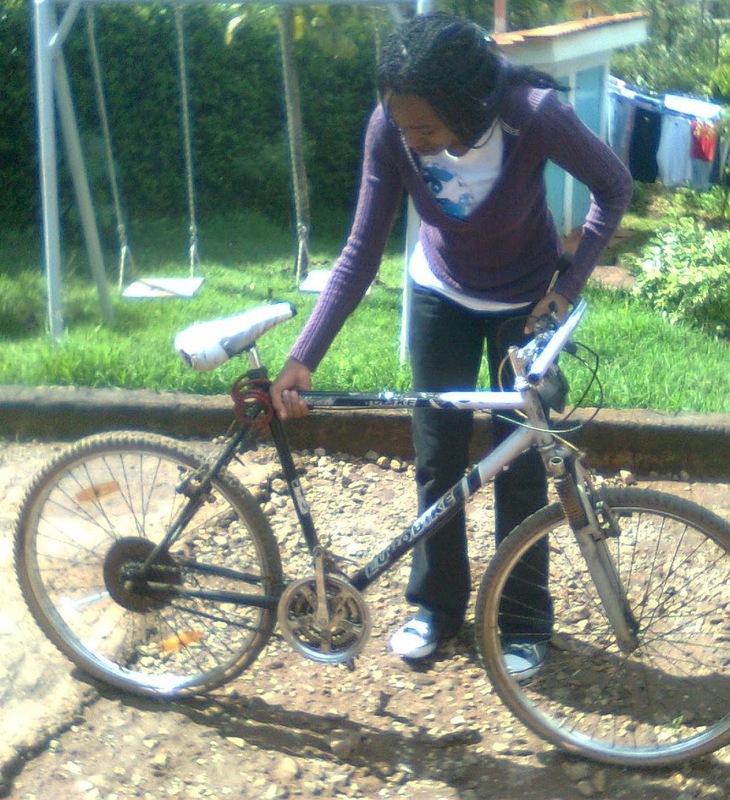 I’d always been fascinated by this girl I met when I moved to the school in class three. 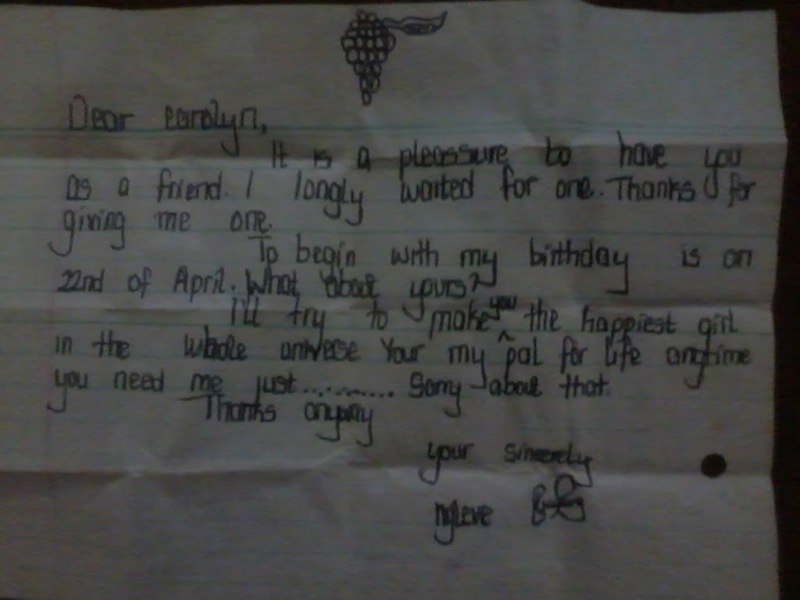 I gathered up courage and wrote a letter to ask her to be my best friend (Those days you had to have a best friend because teachers would ask you to write a composition about him/her. There was no way I was going to write about a friend and all the while she did not even think of me as hers. I had to make it official!) As fate would have it, she was glad to accept the request. Happy, happy me! Now I had the coolest best friend in the school. From there on, we were inseparable. Reciting entire lines from movies during break time (Parent Trap was our favourite), beating each other to the school latrines (lol), writing ‘novels’ titled the ‘Adventurous Duo’ where Carrie and Eve went on awesome adventures, becoming girl guides, beating each other in studies. Hand in hand all the way to class eight. Evelyn was the epitome of focus. She was the math guru in the class of 07. Girls in lower classes looked up to her in a way I envied. I remember the girls in her house loved her so much, they made her Deputy House Captain. This drove her mad for reasons that were closely tied to her goals. She felt this was not it for her. When this girl is determined to do something, you had better move out of the way. Eventually she calmed down and performed her duties perfectly. One of those moments I remember being there for her, which cannot even compare to the moments she has been there for me. She has dealt with my numerous stupid tantrums. We could go for music festivals where she would disappear with a boy. I would get so mad for being ‘dumped’ but she never ever went like ‘Carol, grow up!’. She stuck with me (Yes, I was a ‘breezer’, a major one at that). She’d leave me notes on my locker before night preps, she made me work on my studies (unknowingly of course). There’s something about having a friend who’s better than you, you are always challenged and have no choice but to be better. We are coming to the end of our university years. These are the years we were completely strewn apart, 332km to be exact. This is why delivering gifts is now harder. This is a half truth, however, since I have received loads of help from her via the awesomeness that is the Internet. My research project kicked off backed by her advice. The beauty of the distance is that, this bright girl made me realize that in this digital age, awesome electronic gifts are timeless. On my 23rdbirthday, she gave me a beautiful gift, an out-of-the-box gift. She’s a geek, a beautiful geek, so she made me an android app. The app unfolds into a short story about me with pictures and a Lecrae birthday song playing in the background. Like seriously!!!! How in the world did she even find a birthday song by Lecrae! (I did not even know it existed until I heard it in the app. I did not even tell her I did not know. I was completely blown away!) She gave me this geeky gift, I give her my electronic gift in the best way I know how, writing. You are probably bent over some code or scrolling through notes for your exams. All the best in that, ace them as usual! As you begin another chapter in your life, may it be your best yet. I think it is so cool that you step out there at the exact time you celebrate your birthday. You will be great, you always have been, you always will be. Happy Birthday! May God bless you beyond your wildest dreams. You deserve so much more than a blog post, you know that, right? One thing I can tell you though, the words in that class four letter came to pass. You have made me “the happiest girl in the whole universe”. All my love, +Evelyn Muthoni Mwangi.